TONIGHT THE RETURN OF THE JOHN MILLER PROGRAM – Radio for the People, by the People. 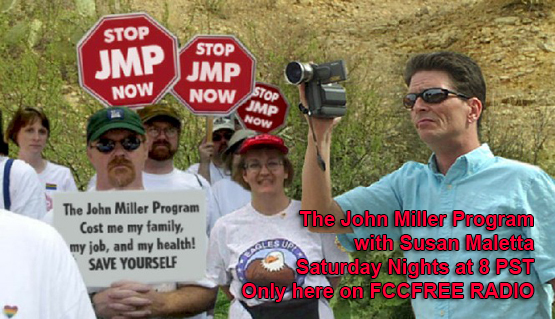 Tonight at 8 PM the return of where it all started… The John Miller Program with Susan Maletta. So plan on a great show after being off the air for 3 weeks I would bet they both have some thing to say. Also we have Dr Brian King, Conor Kellicutt and Phil Perrier More to come!